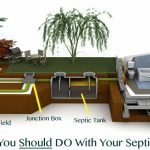 Septic Systems are an important sewage/wastewater treatment option for homeowners on Southern Vancouver Island with approximately 26,000 septic systems located within the CRD region and several thousand more on the outskirts. Septic systems can also be referred to as “onsite wastewater treatment systems”. A properly running septic system provides your household with environmentally friendly disposal of wastewater where sewers are not available or would be far to expensive to install. 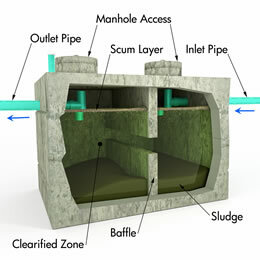 Your septic tank is an integral system in the operation of your home or building. Failing to maintain your septic system can be a very expensive mistake, with septic system replacements costing upwards of $15,000 – $30,000 or more. Pumping out your septic tank of all the collected solids every 3-5 years is the best way to keep your system operating trouble-free. Island Pro Septic is a vacuum truck services company that specializes in pumping out septic tanks of all sizes. Whether you need a septic tank pumped as part of a real-estate transaction, much need home maintenance or it’s mandatory because you’re within the CRD, the team at Island Pro Septic can help! 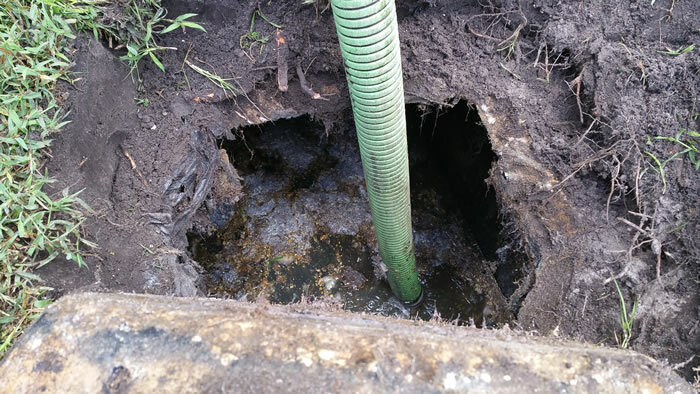 One of the major drawbacks to a septic system is that you can’t just forget about them! The homeowner or property owner is completely responsible for the safe and clean operation of their septic system. This includes the regular maintenance and pumping out of the septic tank. 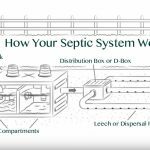 Become familiar with your septic system and the locations of important parts of the system. You should know the locations of your tanks, your clean-outs, the distribution box and your leech field. There are a variety of septic tank sizes throughout the CRD and Greater Victoria region with 600 gallons to 1000 gallons being the most common size of septic tanks we are called to pump out. It’s a good idea to inspect your tank once a year. It’s simple to inspect the tank yourself if you know it’s location and the lid is exposed or you can have a septic tank technician check the levels of liquids and solids for you. You should periodically check your septic drain field for any odors or water pooling on the surface as well. 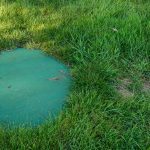 While the CRD mandates septic tank pumpouts every 5 years (Bylaw 3479), there are other factors and indicators that might want to make you pump your septic tank out at more frequent intervals. If you have a large family, a large home, attached suites, or anything else that would put additional usage on your septic system then you should consider increasing the pump out frequency as suggested by your tank technician. If you practice good water conservation and don’t flush harmful agents down your drains then your septic system can go the full 5 years mandated by the CRD but it’s best to let a professional make that determination after inspecting your tank. The cost for our septic tank pumping service starts at $199.00 for the trucking fee (which includes trucking both ways) and then sewage disposal costs are additional. The disposal costs can fluctuate depending on how many gallons of sewerage we need to haul and dispose of. 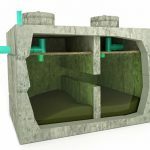 The average cost is between $400 – $700 for a septic tank pump out on the Saanich Peninsula or Greater Victoria area, with tank size being the major deciding factor with respect to cost. On May 31, 2005, the provincial government of BC introduced a new sewerage system regulation in an effort to prevent public health risk and protect our delicate watersheds. The regulation applies to site assessments and the installation and maintenance of all types of onsite wastewater systems, including septic systems for single family homes. In cooperation with participating municipalities, the Capital Regional District (CRD) developed Bylaw No. 3479 in response to this new regulation. This bylaw affects homeowners in Colwood, Langford, Saanich and View Royal. How Does Bylaw 3479 Apply To You? The bylaw requires owners with a Type 1 septic system to have their septic tank pumped out at least once every five years. Five years is intended to be the maximum time frame. Some septic systems will need more frequent pumping depending on the size of the tank and the conditions in the home. The septage receiving facility will notify the CRD of your pump out, however you should consider keeping your receipts as proof of service. Owners of Type 2 or Type 3 septic systems (more complex package treatment plants) are required to maintain their system according to the maintenance plan for their specific system, and ensure it is maintained by an Authorized Person at least once per calendar year. Owners should ensure their Authorized Person completes a Certification of Maintenance and sends it in to the CRD. Owners should keep a copy of this form, however, as proof of service.